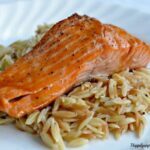 4 simple ingredients is all it takes to make this restaurant quality glazed salmon – PERFECT for a weeknight dinner! 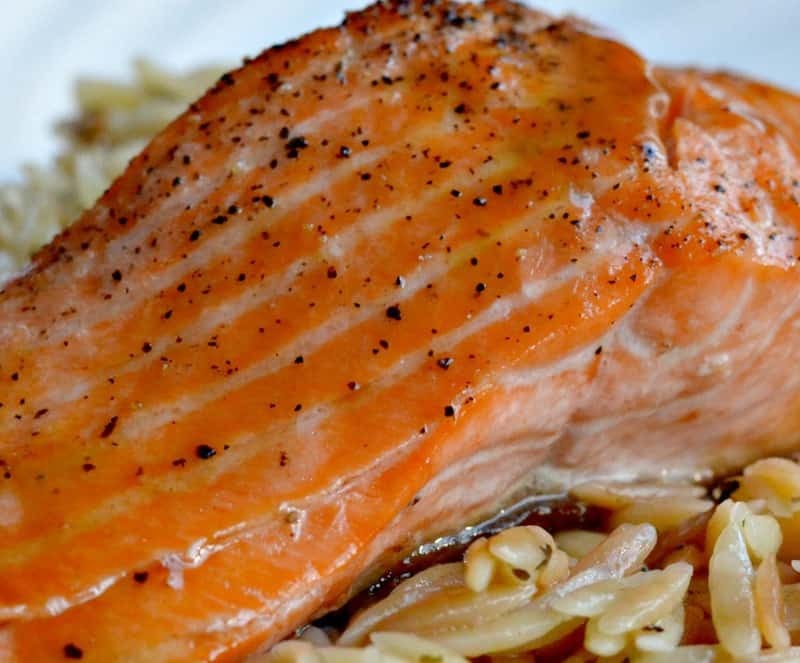 Salmon has to be one of the healthiest foods we can eat. I know personally we don’t eat nearly enough of it. Part of the reason is that it’s hard to find Wild salmon in the Midwest. Well to be honest it’s harder to find everywhere over farm raised. 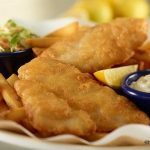 I know farm raised is cheaper, the fillets are HUGE but I urge you to avoid farm raised ANYTHING. Farm raised salmon has been found to have antibiotics, pesticides, dioxins in them just to name a few. Click here to Dr. Axe’s page if you’d like to understand more about the dangers. 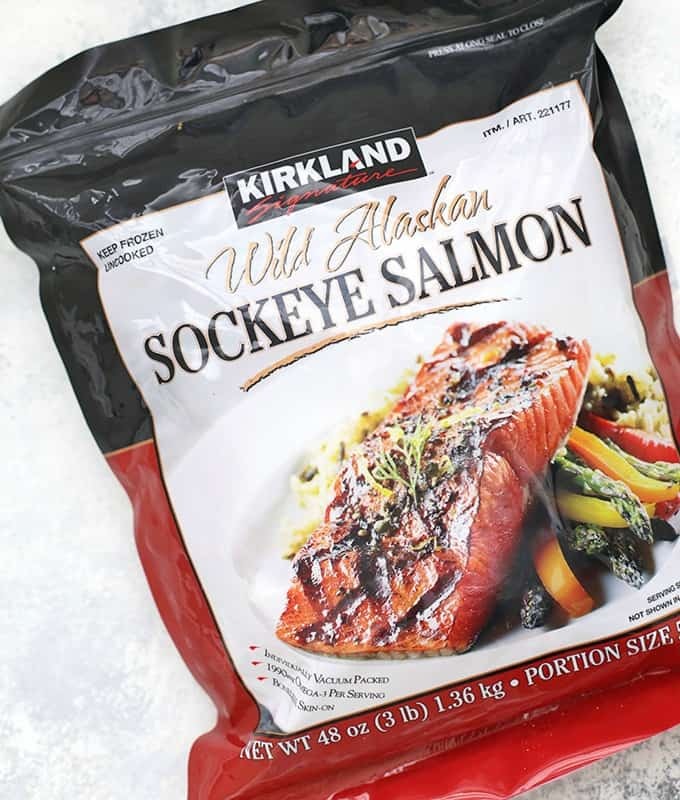 I buy my wild salmon at Costco. That’s really the only place I can find it unless I buy it online, which I have also done. I would literally eat this maple and brown sugar salmon daily if I could. 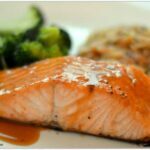 This recipe has melted butter, a little brown sugar, maple syrup and a dash of Tamari (soy sauce) to bring out the salmons delicious flavor. 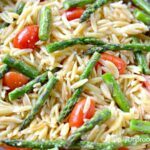 If you serve the salmon over some garlic parmesan orzo it will soak up some of the sauce and it is to die for! 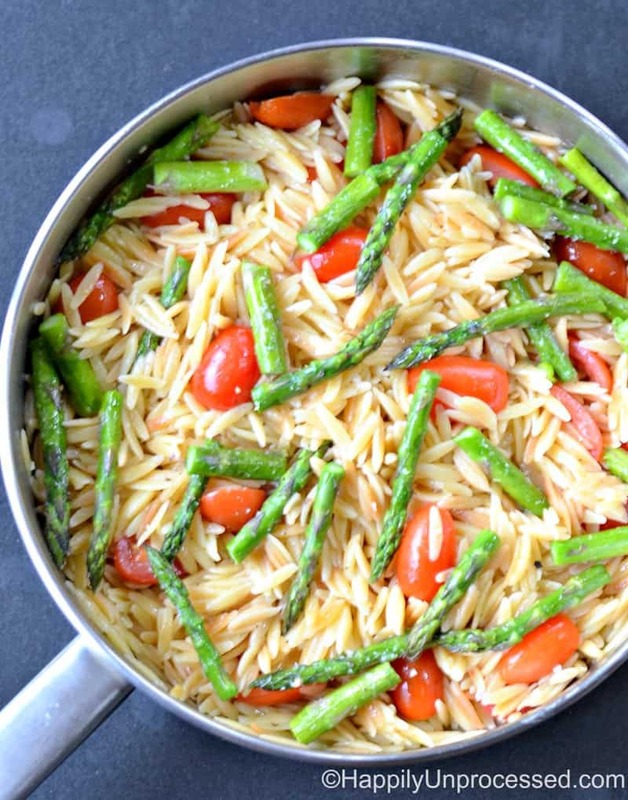 It’s ready in under 15 minutes and makes the PERFECT weeknight meal. 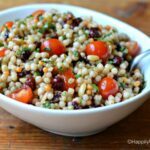 Fish is one of the easiest go to weeknight dinner ideas because of it’s simplicity. 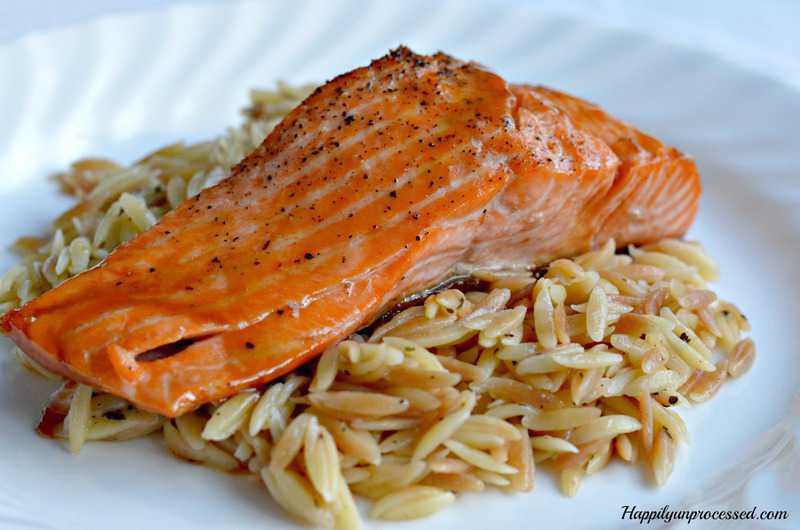 No complicated recipe here, just great salmon.